In the center of the Pirate-infested island known as Mos Le'Harmless lies an underground cave system that is home to the Cave Horror, a high-leveled Slayer beast, and to the Albino Bat. 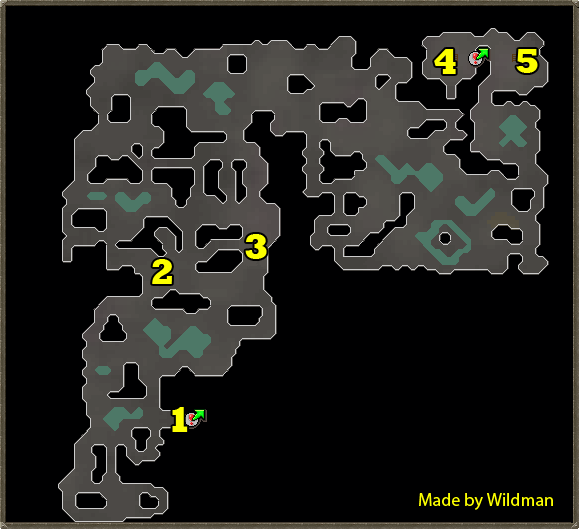 Are you intelligent enough to find your way though the complex cave layout? Are you brave enough to face the Cave Horror? Then this guide will help you. 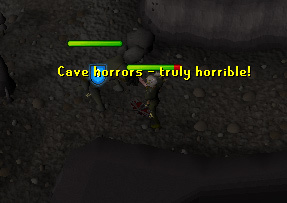 Note: You must have completed the Cabin Fever Quest before you can travel to Mos Le'Harmless, and you must have at least level 35 Slayer to enter the caves. Also, don't forget to bring a light source, and to wear a Witchwood Icon to protect you from the screams of the Cave Horrors! After you have completed Cabin Fever, you can travel from any Charter Ship location to Mos Le'Harmless for a small price. Once you are in the town, head north to the exit and then southeast towards to caves, but beware of the Level 80 Jungle Horrors. Speak to Cavey Davey to enter. 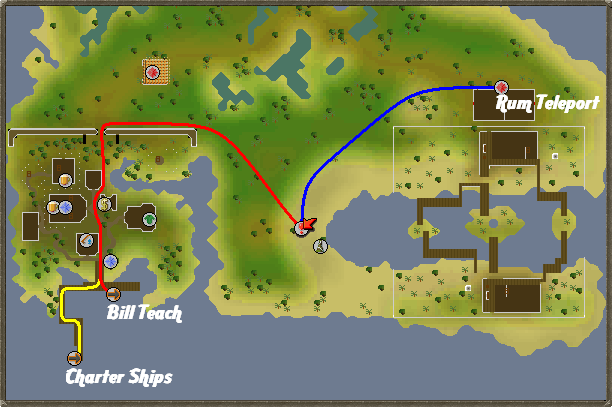 When you complete 'Cabin Fever', you can talk to Bill Teach in Port Phasmatys and he will take you to Mos Le'Harmless. Then just head north out of the town and head southeast to the caves, being wary of the Jungle Horrors. Speak to Cavey Davey to enter. When you play the Trouble Brewing Activity, you earn Pieces of Eight. You can trade 20 of these for a bottle of Rum. 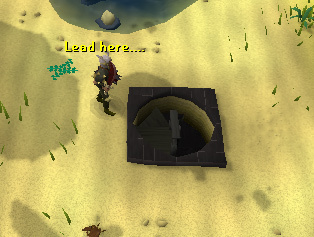 Wherever you are on RuneScape, if you drink the Rum you will be teleported to the 'Trouble Brewing' Activity entrance. From here, head west past the lake, then south to get to the caves. Speak to Cavey Davey to enter. 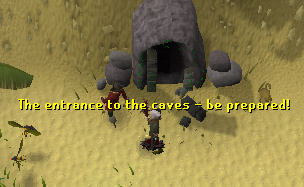 When you enter the caves from Mos Le'Harmless, you will appear here. Cave Horrors are scattered around the caves, not just in the location marked on the map. 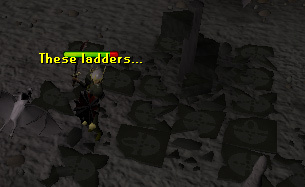 Known for being the only source of the Black Mask, which plays an important role in the Slayer skill, these aggressive monsters require a Slayer level of 58 to kill. In addition to attacking with Melee, Cave Horrors attack with a scream that not only inflicts Magic damage, but drops your combat stats. Wearing a Witchwood Icon, available from any Slayer master, will protect you from the effects of the scream. These monsters are also scattered around the caves, but serve little purpose. 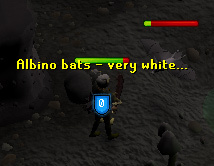 They drop very little and are aggressive, but can be killed for a 'Bat Wing', which is required for the Rag and Bone Man quest, they can be killed in a slayer task of Bats, and their bones can also be used in the Merlin's Crystal quest. If you climb these ladders, you will exit on one of two islands, each with teak and mahogany trees.